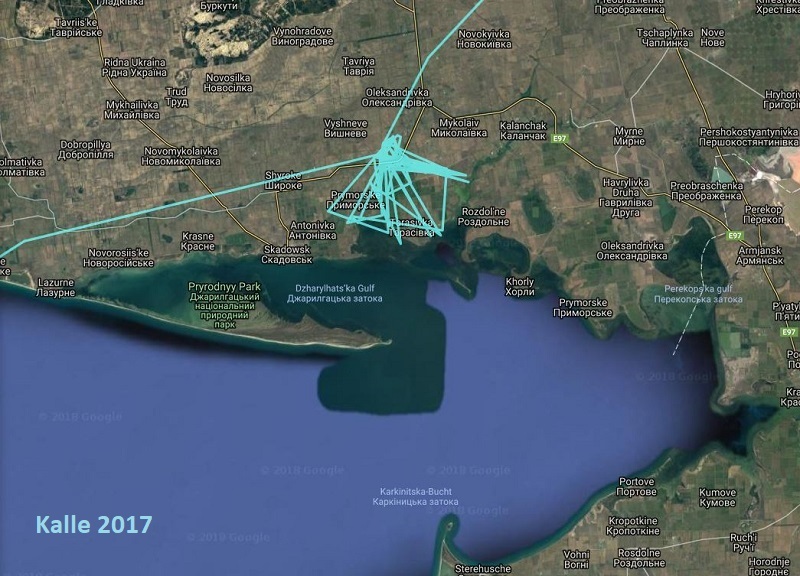 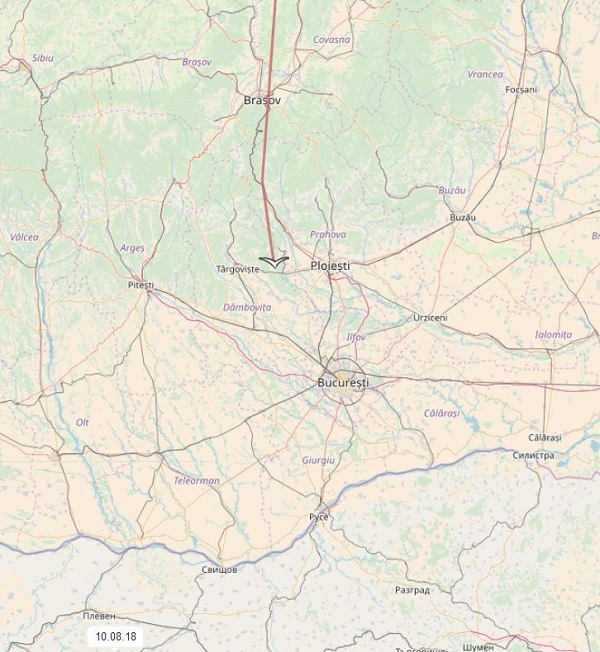 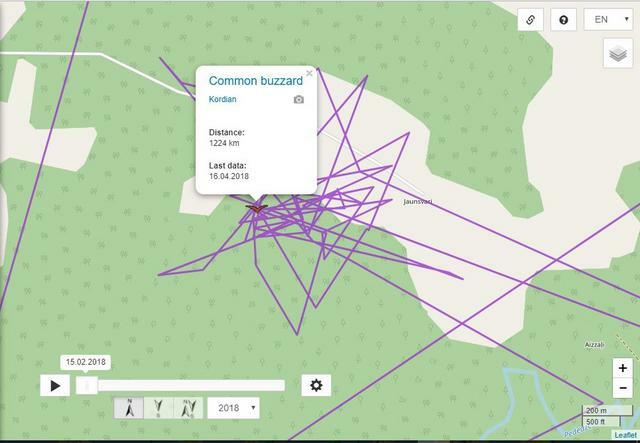 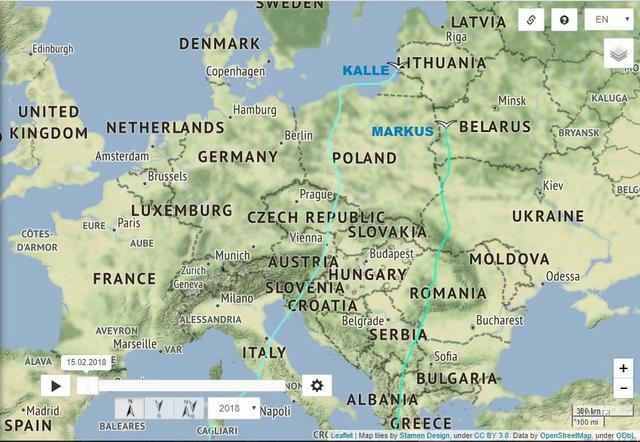 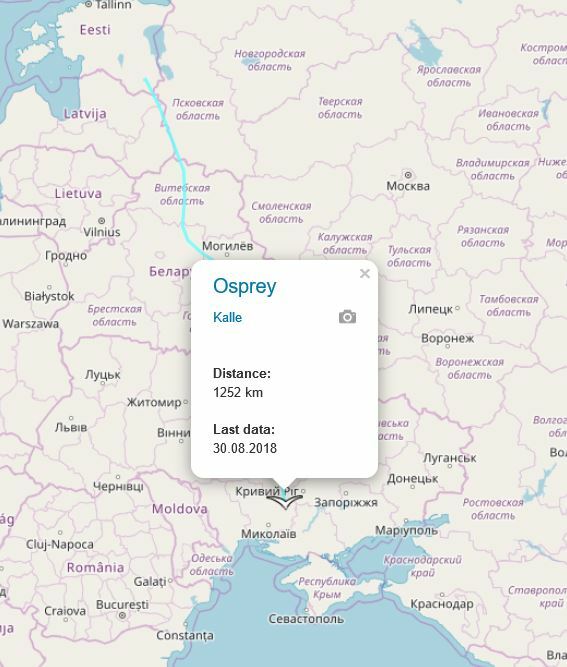 Birdmap update 12.04.18:Markus and Kalle are both near home now. 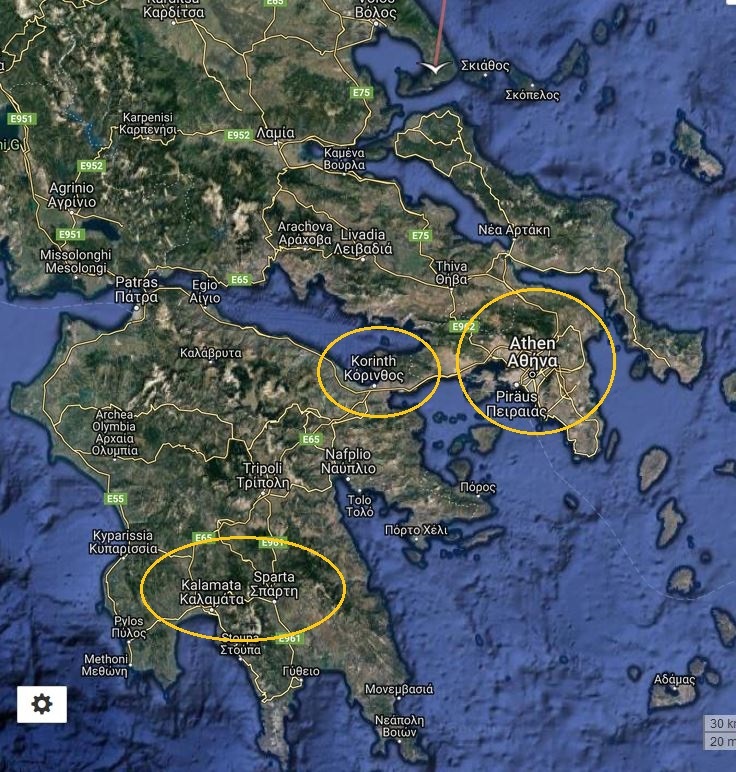 Rita, pls, where they are at home? 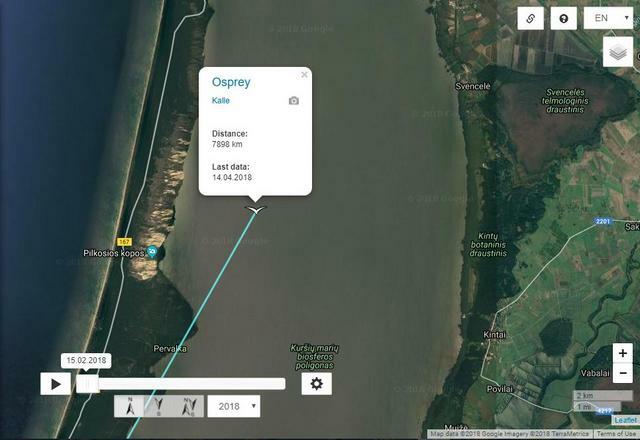 Ospreys Kalle and Markus have safely arrived at their nesting sites. 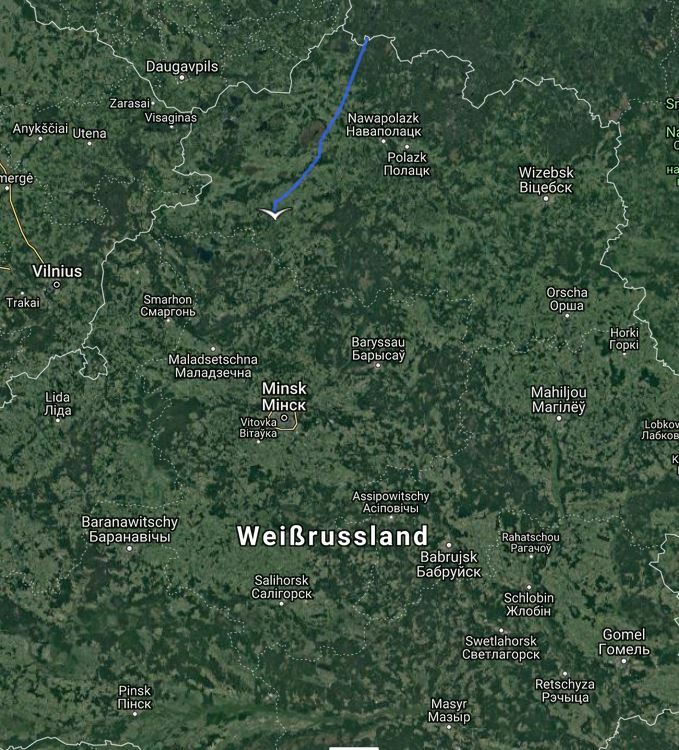 Alexander Gerst, the German cosmonaut on the ISS posted photos of the event at his Twitter account. 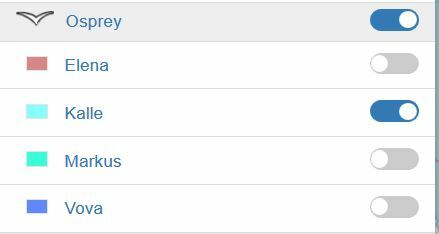 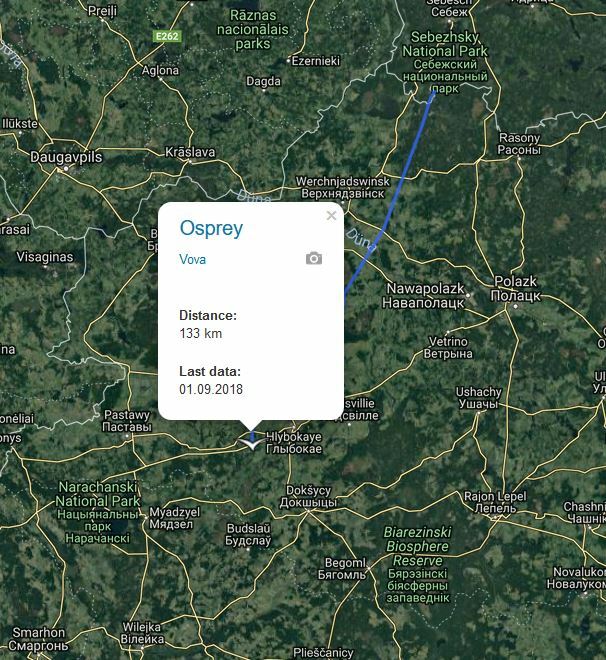 We have new guests on the birdmap, beside our already well-known Estonian ospreys Kalle and Markus, a female osprey Elena and a male, Vova, appear, both from Belarus. 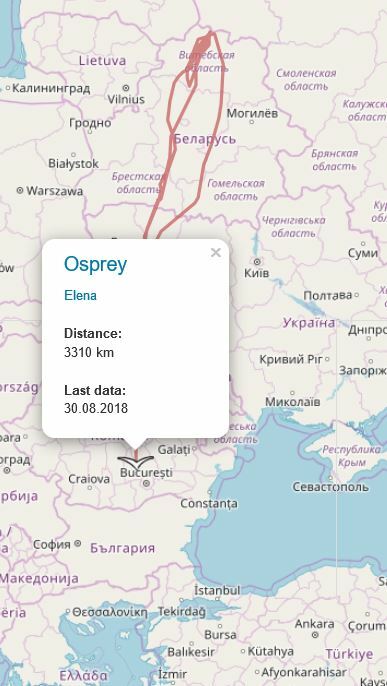 Elena is already on her way South, but with several back-and-forths ... maybe she is a still unexperienced and young osprey lady? 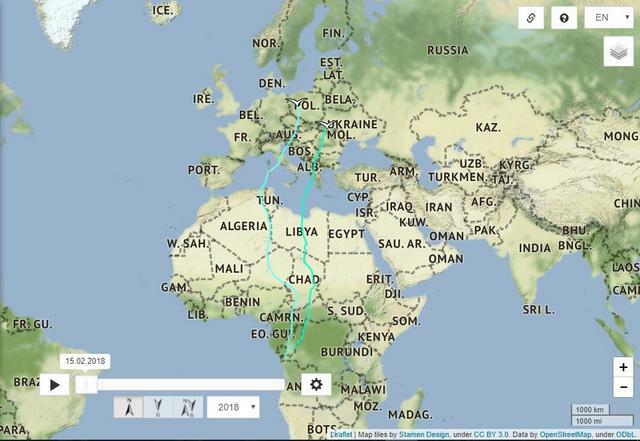 Or maybe due to some unconvenient weather conditions? 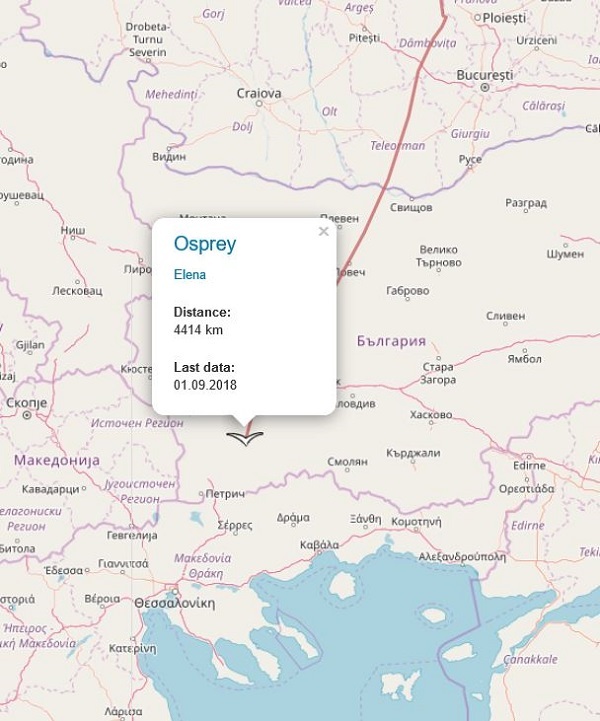 She has left Belarus and is in Ukraine now. 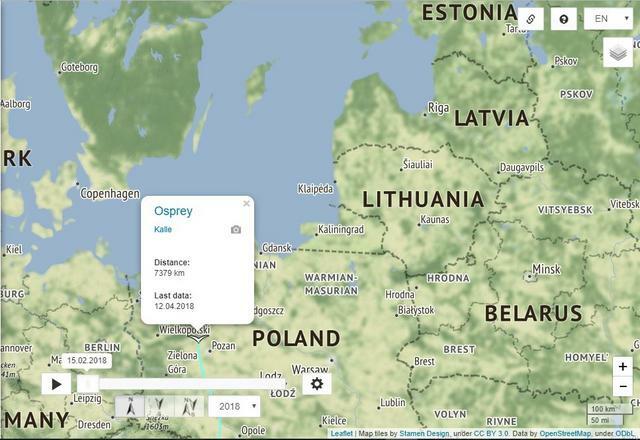 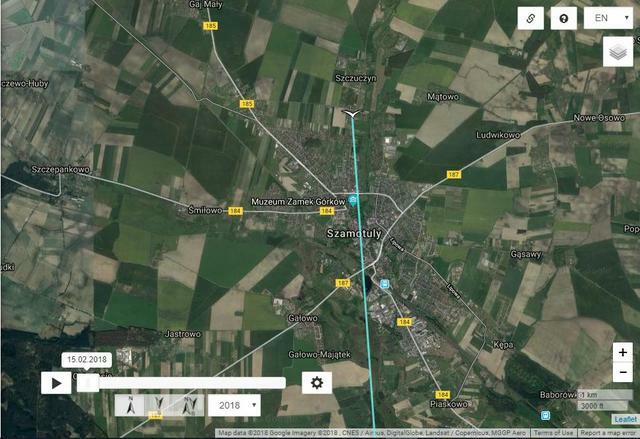 And Estonain osprey Kalle is also already on his way South, maybe he had no chicks this year? 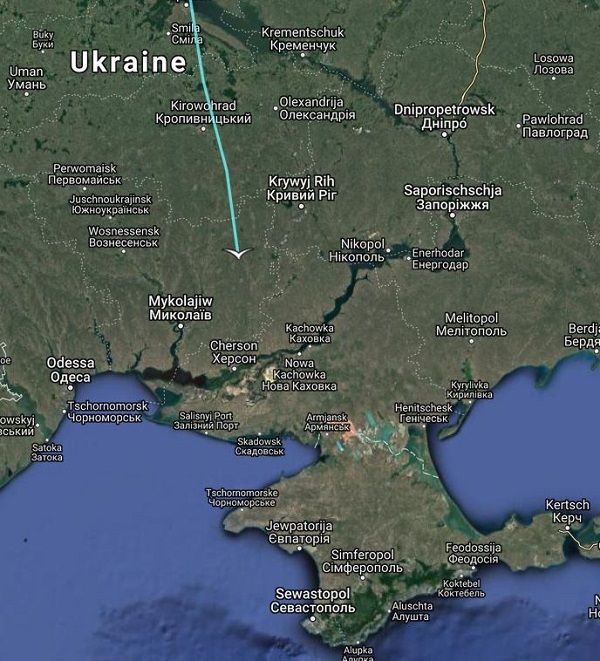 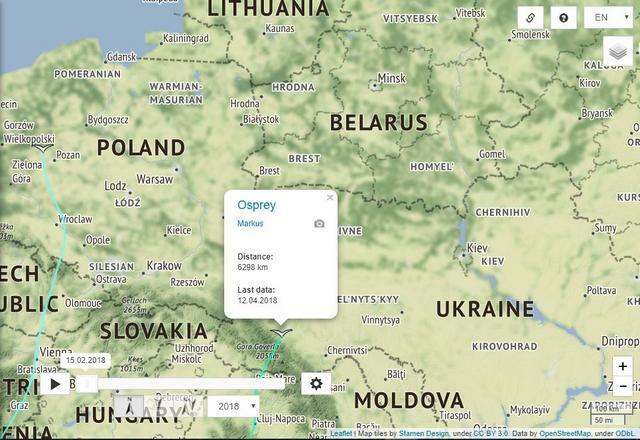 He has left Estonia, flew along the Latvian-Russian border and is in Belarus now. 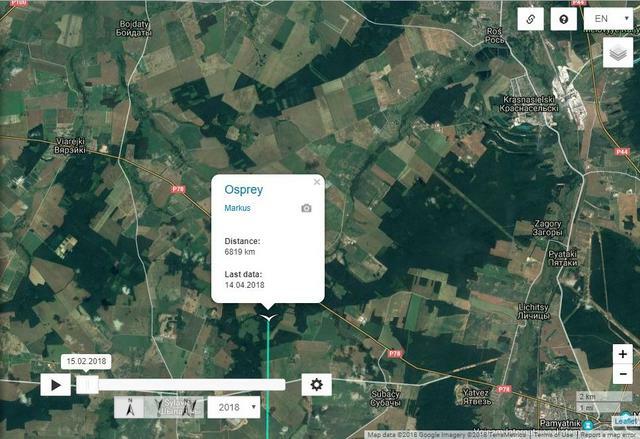 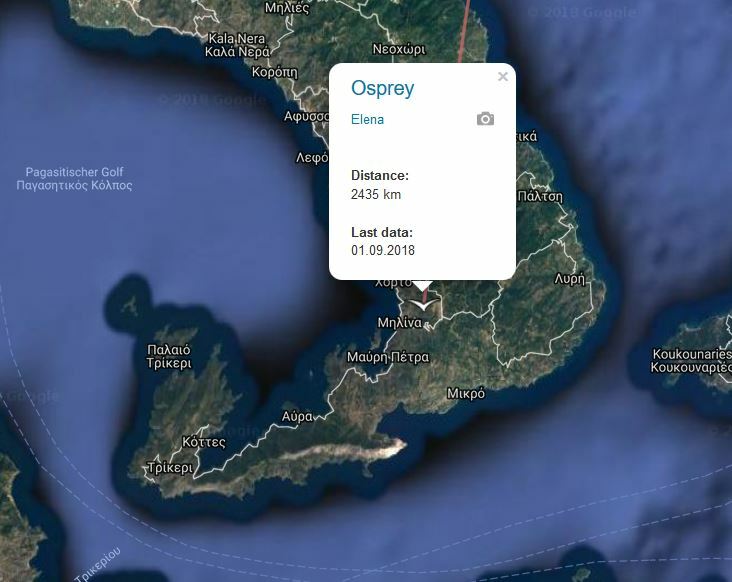 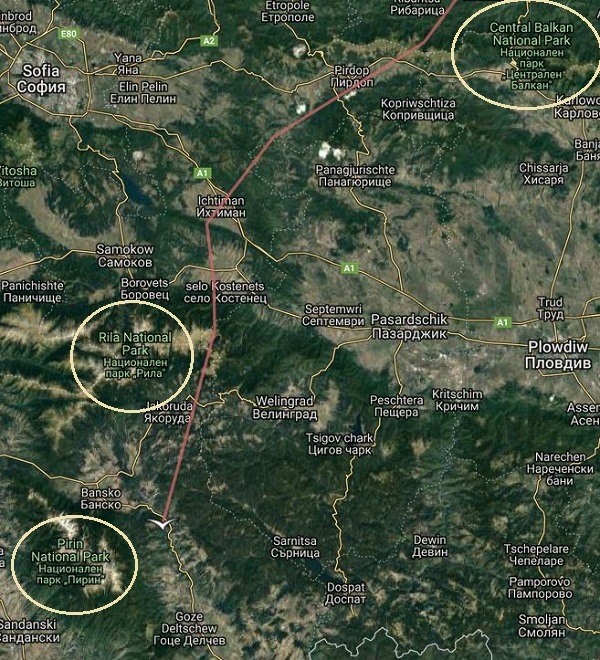 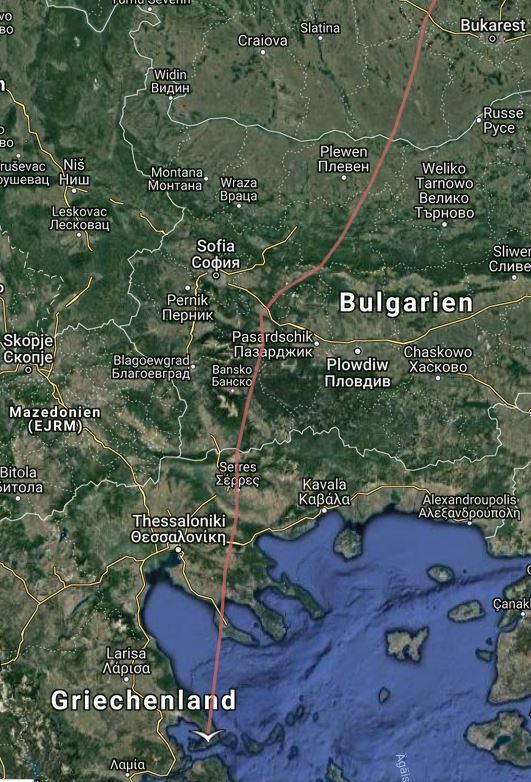 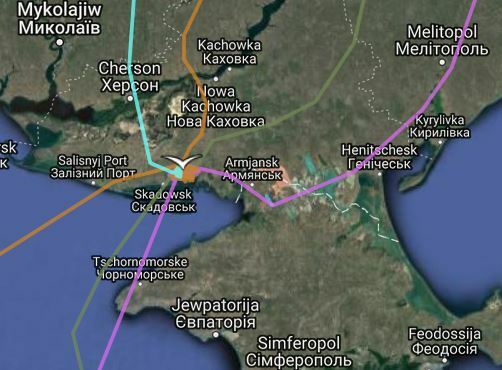 With todays´ update Belarusian osprey Elena has left Romania and is crossing Bulgaria now, next station Greece? 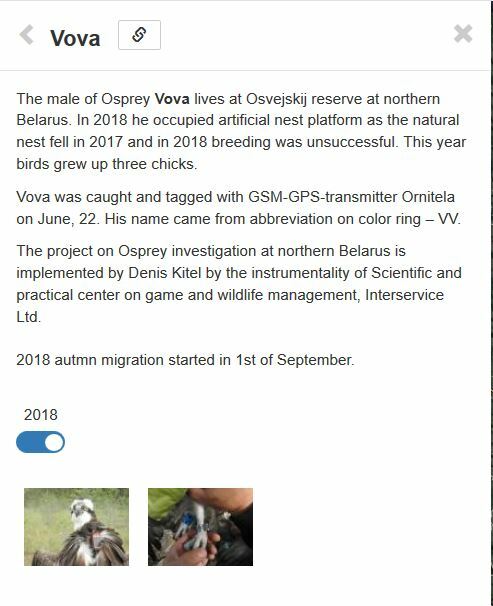 I suppose there is a little mistake in the text, maybe it should be "breeding was unsucessful in 2017 (when the nest fell down) and successful this year, 2018, with three offspring"
Thank you Bea, there was error in text! 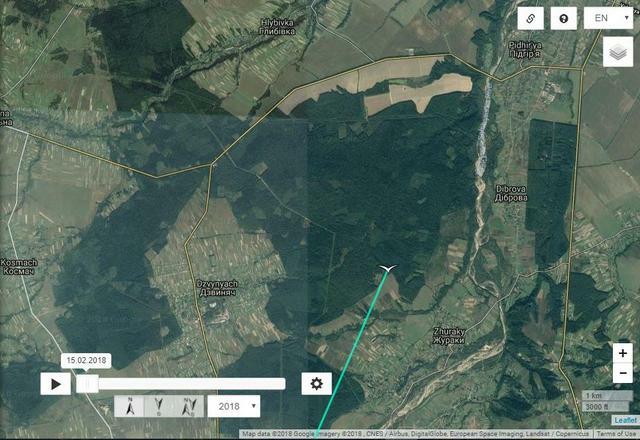 Aahhh, great, thank you for repair!